Katana Zero interview: One-hit kills make you feel "badass"
Shacknews caught up with Katana Zero developer Askiisoft and had a chat about the upcoming neo-noir action platformer. Katana Zero is a neo-noir action platformer that's positively oozing with style. Shacknews had some time to catch up with Askiisoft's Justin Stander to chat about the upcoming PC and Nintendo Switch title at GDC 2019, which looks excellent, if we do say so ourselves. 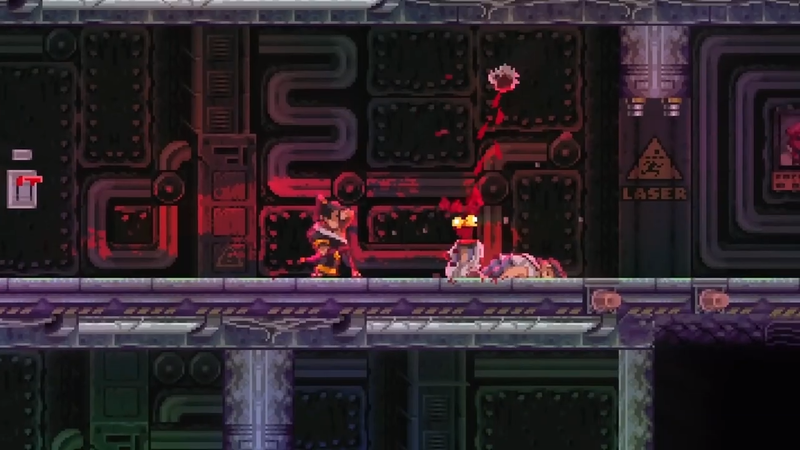 Katana Zero is unique because it won't feature a health bar. Instead, if you get hit, you'll simply die, much like Hotline Miami. You'll be tasked with navigating side-scrolling levels as you work to kill all the enemies in a particular level using your blade or traps set throughout the environment. You can slash at enemies and kill them easily, but you can also deflect bullets and dodge oncoming attacks. There's also a cool conversation system that you can interrupt if you so choose as well. The game's interesting neo-noir setting features an intriguing narrative as well. You play an assassin who uses a special drug called Chronos that allows him to manipulate time and even credit the future, which should lead to some pretty complicated scenarios, we're thinking. But one question does remain. Why did Stander call the game Kitana Zero? "Kitana One didn't sound quite as good," he quipped. Sounds like a good enough answer to us. Now, if you'll excuse us, we've got a few katanas to sharpen to get ready for the game. There's far too much going on in the footage we saw for us to feel comfortable with our current abilities. Brittany Vincent posted a new article, Katana Zero interview: One-hit kills make you feel "badass"